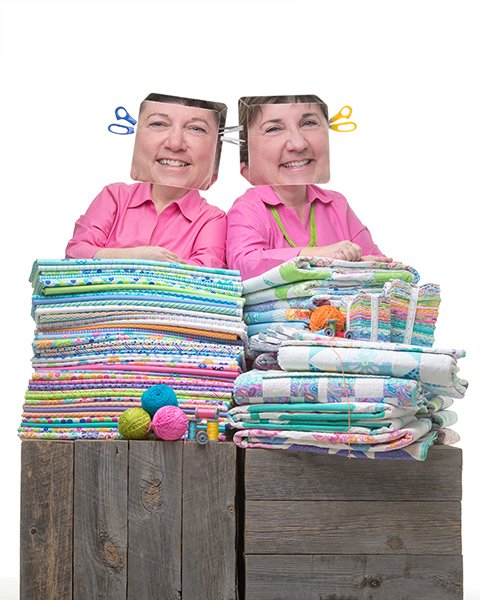 Have you ever tried to coordinate time with your quilting friends to hang out and sew and visit and laugh, but your busy schedules get in the way? I'm delighted to announce that three of my favorite designers and I finally synced our calendars to teach together at a retreat! 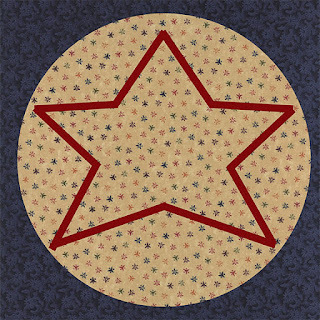 Jenny Doan, of Missouri Star Quilt Co., and Barb & Mary, of Me and My Sister Designs, have both marked June 19-22, 2019 with a big red star. 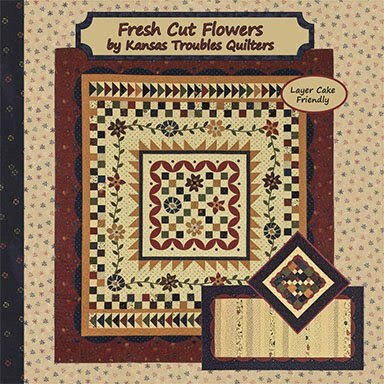 They will all be teaching at our very first KT & Friends Retreat in Bennington, Kansas, home of Kansas Troubles Quilters. I couldn't be more excited! Jenny and I on a quilting cruise at the batik factory. We would love for you to join us - with your friends - for 3 days of workshops, trunk shows, demos, and lots of surprises. We're working with our small town's school for classrooms and our local eatery to cater lunch and dinner so you don't need to leave for a second. 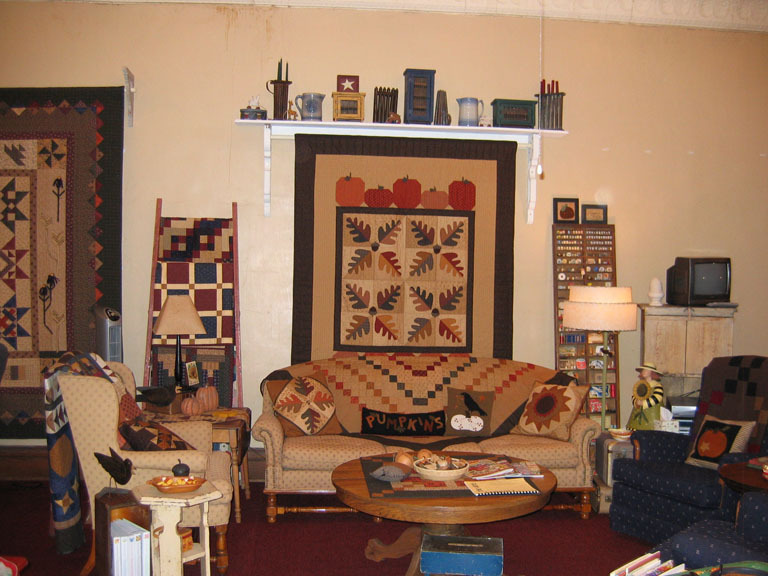 Motel rooms are available just 12 miles away at a reduced rate for our quilters. * Three lunches, three dinners and breakfast pasties are also part of the package. More information and registration is available from Kathy Limpic, KT Retreat Coordinator. 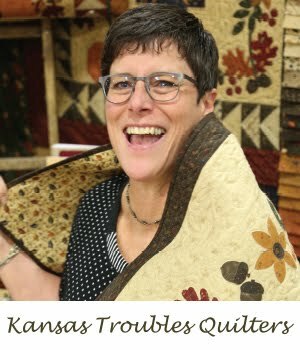 Check your calendar, call your quilting friends, and join me and my friends June 19-22, 2019 for what will surely be a weekend to remember! I love Jan's block this week. Who doesn't love a good star-in-a-circle for a red/tan/blue quilt? 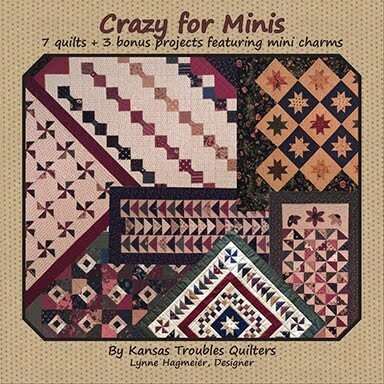 I'm packing this weekend for my teaching trip to San Diego with Jenny Doan of Missouri Star Quilt Co (maybe you've heard of her? ), so time is tight. I decided to computer generate my blocks, like I have in the past, but Jan's star proved to be a little more challenging than I thought. Sooooo, here's a sad version of her Circle and Star. Find the good one at her blog HERE. 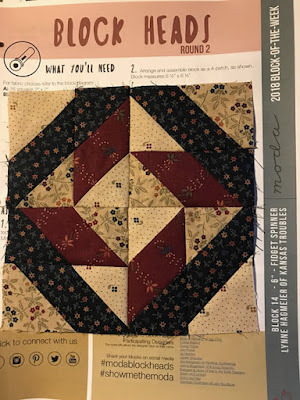 To round out the weekly double block tour, we also have Laurie's simply cool Economy Path. 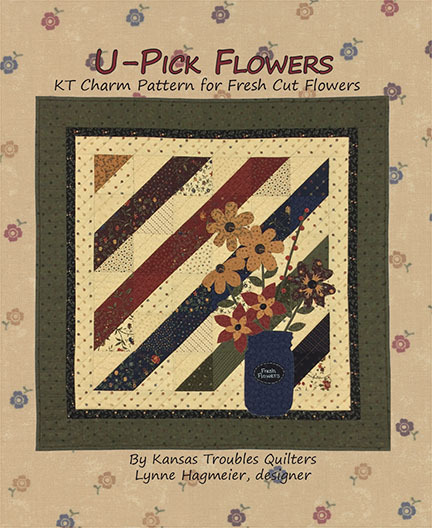 The pieces are small at 1" and 1/2" finished, but it's a great 1/4" seam practice piece. 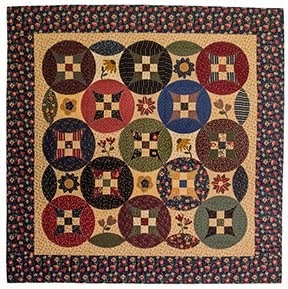 I think it would be a cute baby quilt with novelty prints in the plus spots. Here's my version in red/tan/blue. Find Laurie's Economy Path HERE. 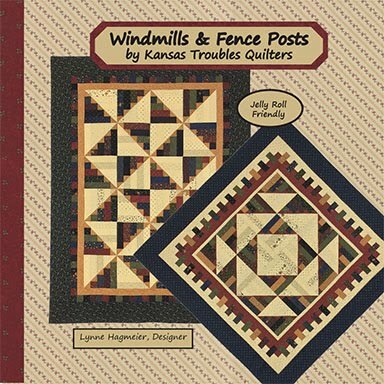 Just for fun (and to prove I'm really working), here's the project I'm teaching in San Diego this week at a quilt retreat on the beach with Jenny. Join me again Friday for some exciting KTQ news! 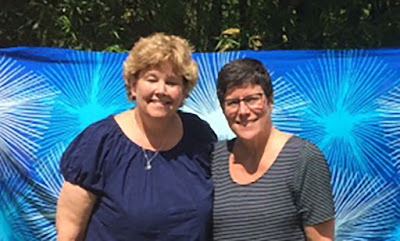 We're making plans to freshen up our KT Retreat over the winter, just in time for 2019. 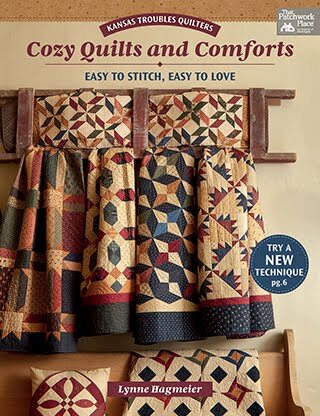 If you've ever wanted to hang out in our warm, cozy space with your quilting friends and sew to your heart's content, this is your year. Comfy chairs and good lighting make this sitting area perfect for hand work and/or a glass of wine. Make a cup of coffee or a full meal in our well-equipped kitchen. 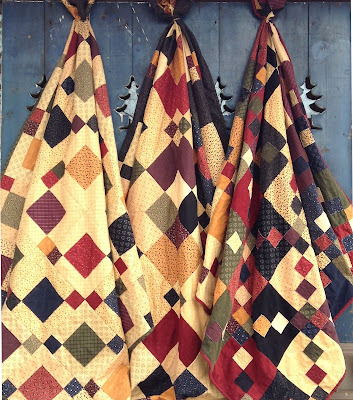 Snuggle under vintage quilts in our dorm-style bedroom. 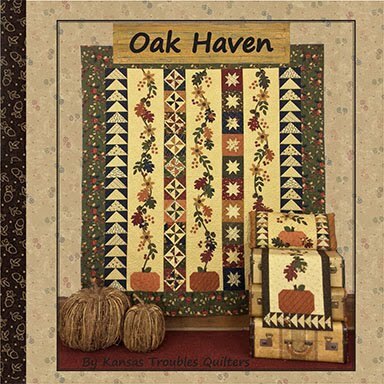 Retreats may be booked for 8 to 10 quilters for a minimum of 2 nights at $75 per night ($75 deposit per person due upon making reservations). 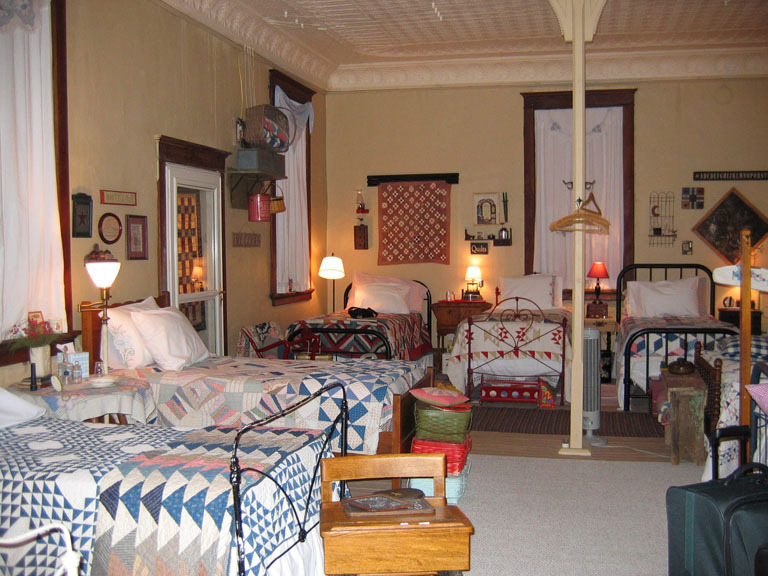 Many groups choose a 3-night retreat from Wednesday thru Saturday. Some groups prefer Thursday thru Monday. (We've taken back our Sundays as a day of rest, but you're welcome to stay thru the weekend.) 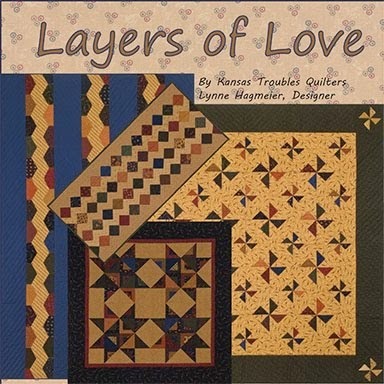 We've even had quilters stay Monday thru Saturday. 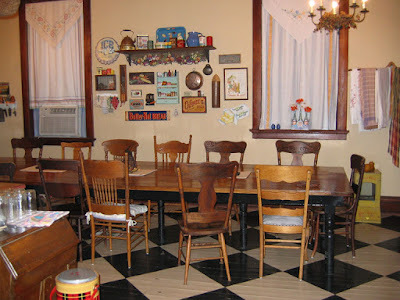 We provide continental breakfast, tea, coffee and snacks with a few KT surprises. Call Robert at 785-488-2120 to reserve a date for your group now! If you haven't been following Blockheads since the beginning, here's how it all began. 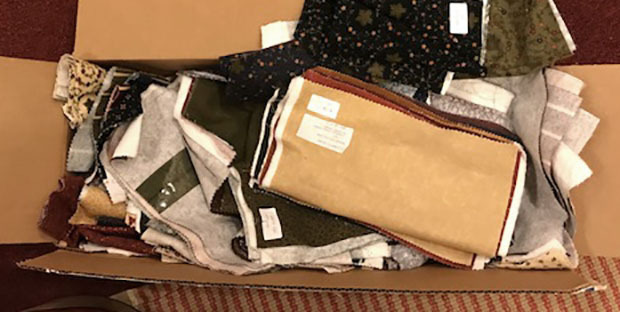 There were six of us "dark" Moda designers who gathered at market to hatch a plan to offer a block-of-the-week to show how all of our fabrics played nicely together. Over 48 weeks, we had a great time, got to know each other better, and didn't want it to end. It was also inspiring to see so many of your blocks on Facebook. I could feel the creative juices pumping. 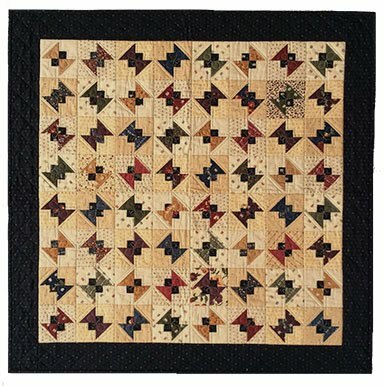 This fall, the Blockheads book will be released featuring each of our finished quilts - plus a few extras - with all of the blocks. Martingale is doing a beautiful job publishing our group project. 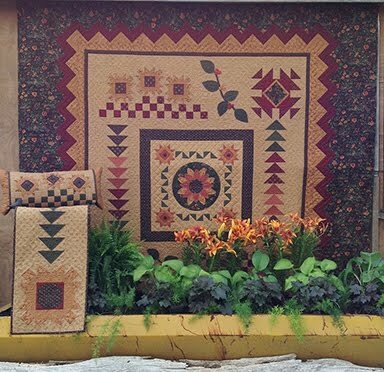 I can't wait to see it at market! So what to do next? 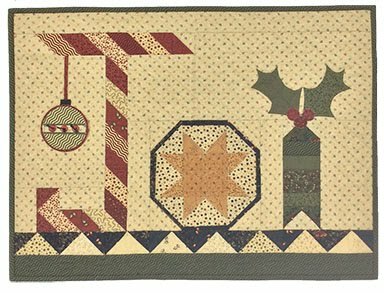 Moda asked each of the original 6 Blockheads' designers to ask a friend to join our group to make it even bigger and better. My choice was obvious - Barb & Mary of Me & My Sister Designs. The first time I met these ladies at market during setup, I was hot and sweaty and exhausted from weeks of preparations. They walked up to introduce themselves all cool and perky, their bubbly personalities lighting up the room. After resisting the temptation to smack the smiles and giggles right off their faces : ), we hit it off instantly. Whether we're visiting in our booths, or out at dinner, they make everything fun. 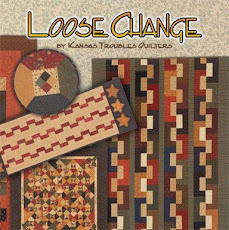 Their bright fabrics and simple, but clever, designs are the perfect match, just like the two of them. You really can't help but smile, even if you are all sweaty. My Fidget Spinner block was inspired by the craze last year when all the grankids had those little spinning finger gadgets - some whirred, some blinked with flashing lights, all of them were crazy annoying (I'm sure that was the point). 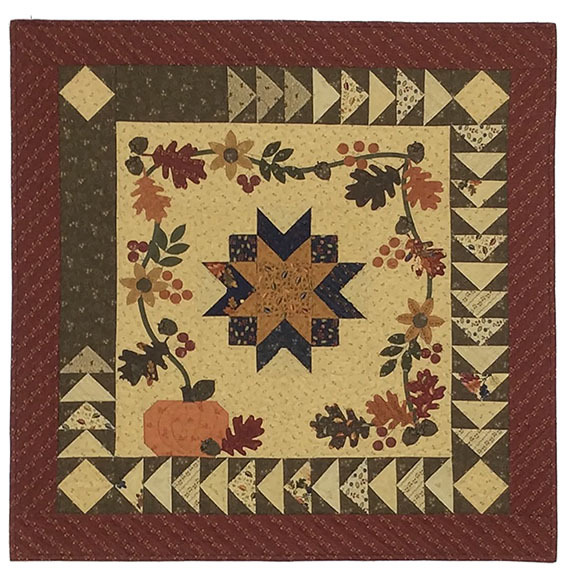 My version uses simple rectangles and connecting corners to create an intricate-looking block that's easy to assemble. 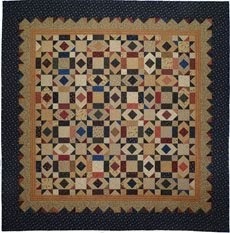 I chose red/tan/navy again for my block. To make the block like mine, you'll need 2 tans, a red and a navy. 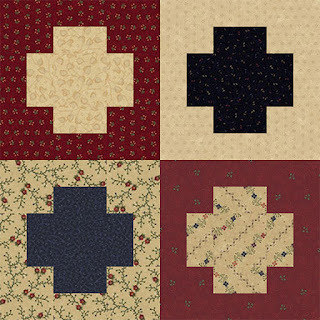 Cut A - (4) each navy and red; B- (6) of each tan and (4) navy. Follow the instructions HERE. I'll be watching on FB to see how you interpreted Fidget Spinner. Billiards, anyone? I'll have to check out Barb & Mary's blog to see if pool was their inspiration for Corner Pocket. 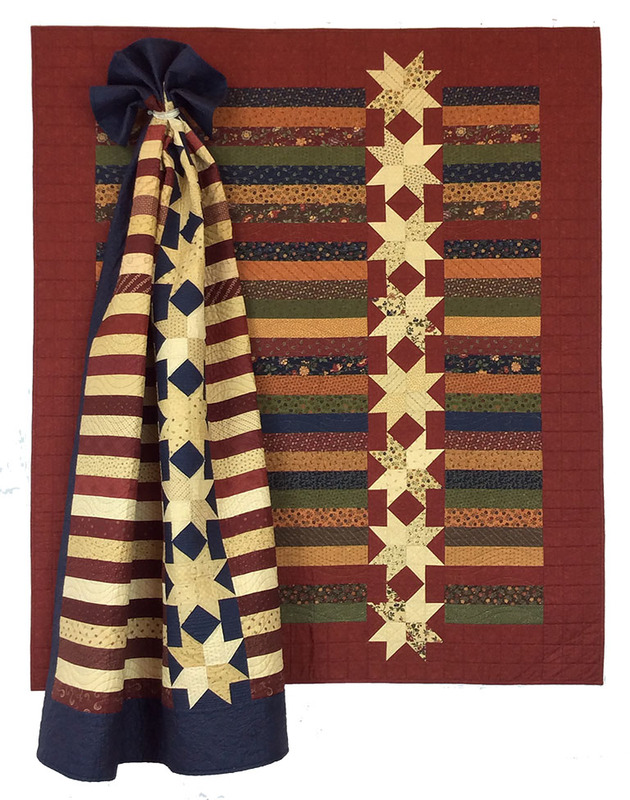 To continue with my red/tan/navy themed blocks, I chose to piece Barb & Mary's block in red & tan. 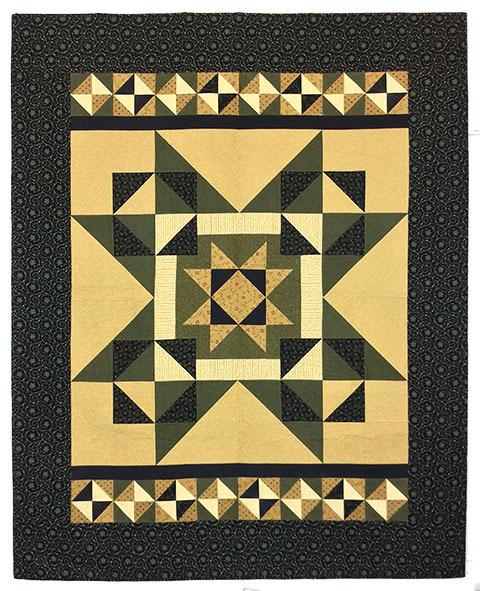 Find instructions for their block HERE. See you next week when we'll have two more blocks to add to your growing pile. Check out what the rest of the Blockhead II bunch are up to this week. 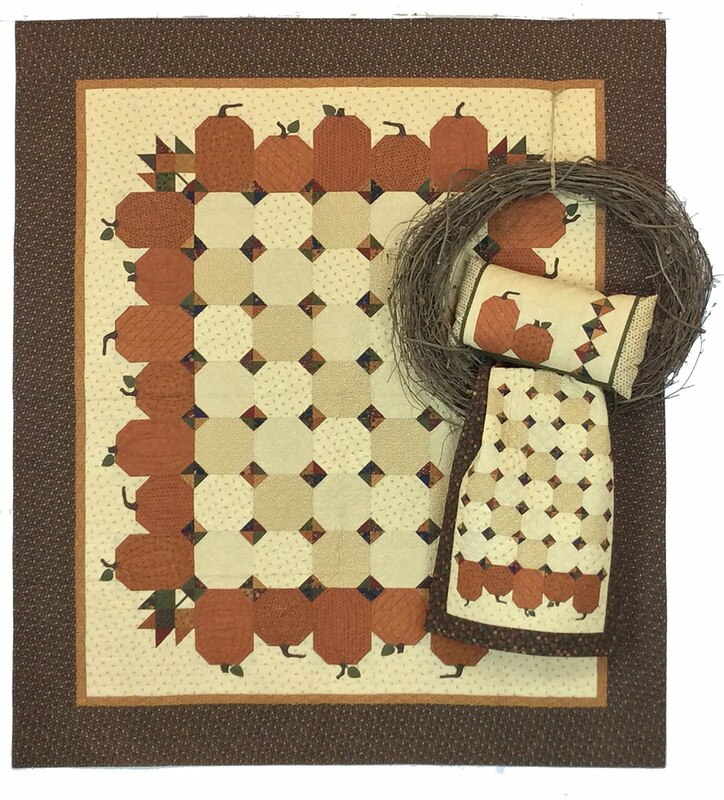 Are you ready to start a new fall project? 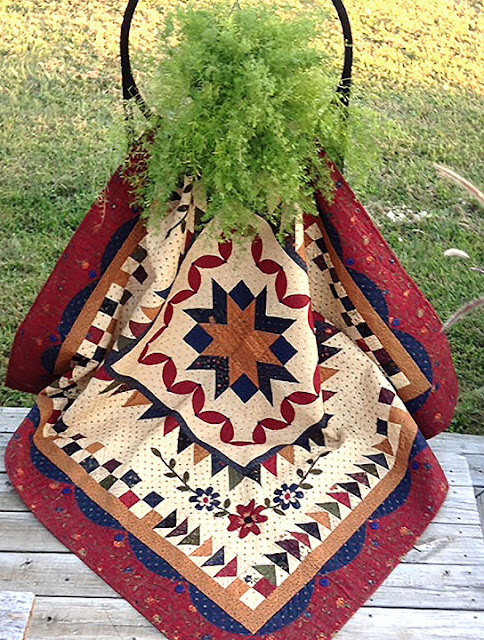 How about something quick & easy perfect for holiday gift-giving? 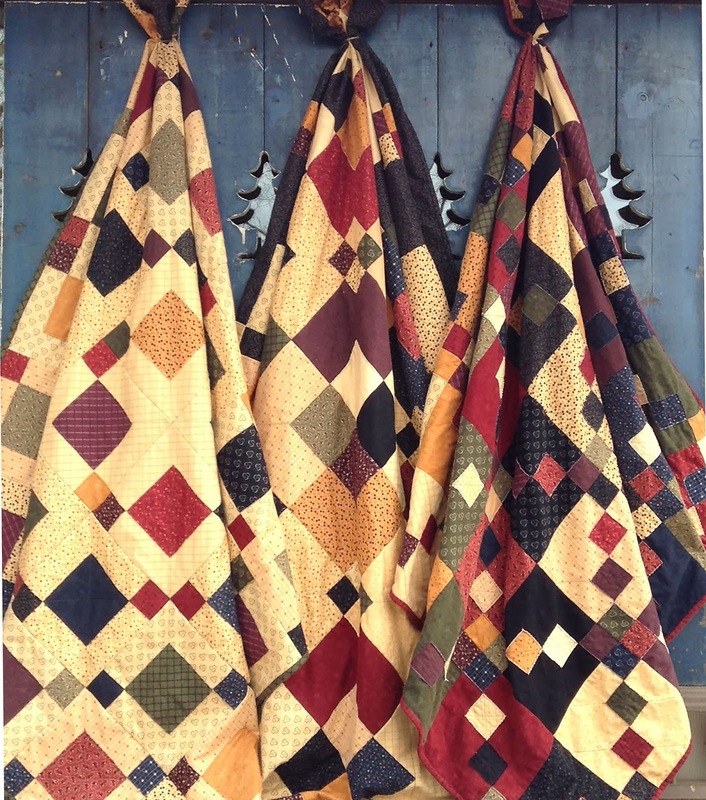 Our Huggable quilts are the fastest way to whip up a soft, cuddly quilt in a weekend - or less. Start with our Country Road Flannel Layer Cakes & charm packs to create raw edge quilts that you quilt-as-you-go. Sandwich 2 Layer Cakes for the front and back, embellish with charm squares, stitch thru all layers, sew the blocks together with precut pinked edges exposed on the back for cuddly softness. 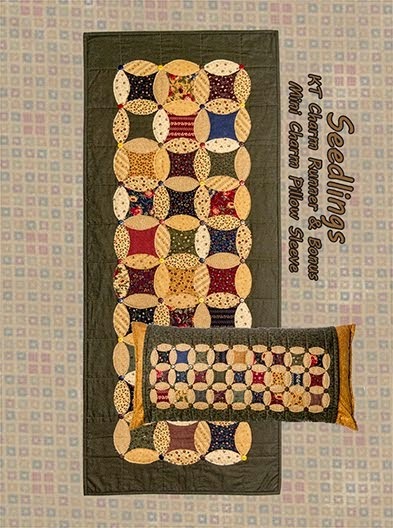 With no quilting expense, you'll save time & money. Enjoy! 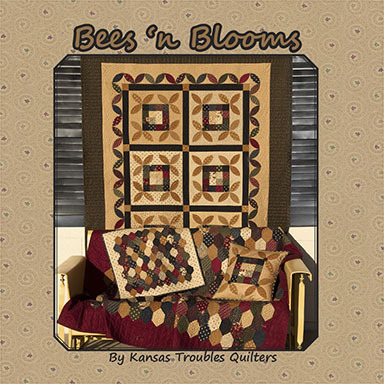 Cuddle Up, Huggable, Snuggle Me flannel quilts with no batting. 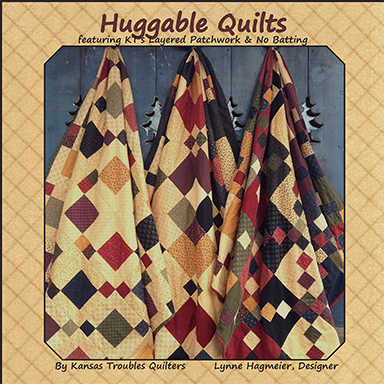 All three of the Huggable projects are on sale thru September. 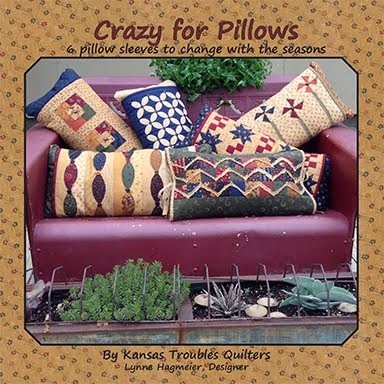 Each kit includes the Huggable booklet and FREE shipping! 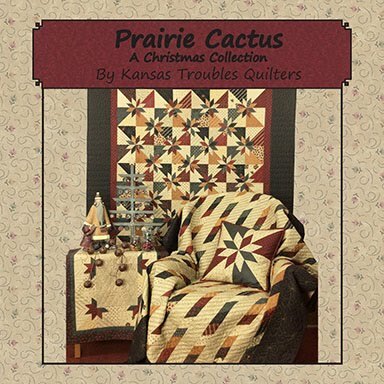 To find them on our website at ktquilts.com, click HERE. Congratulations to the winner of my fall scrap bag. Sounds like Sandra will put them to good use. sandra - Help! I am doing the 2nd Blockhead and need some more of KT scraps. 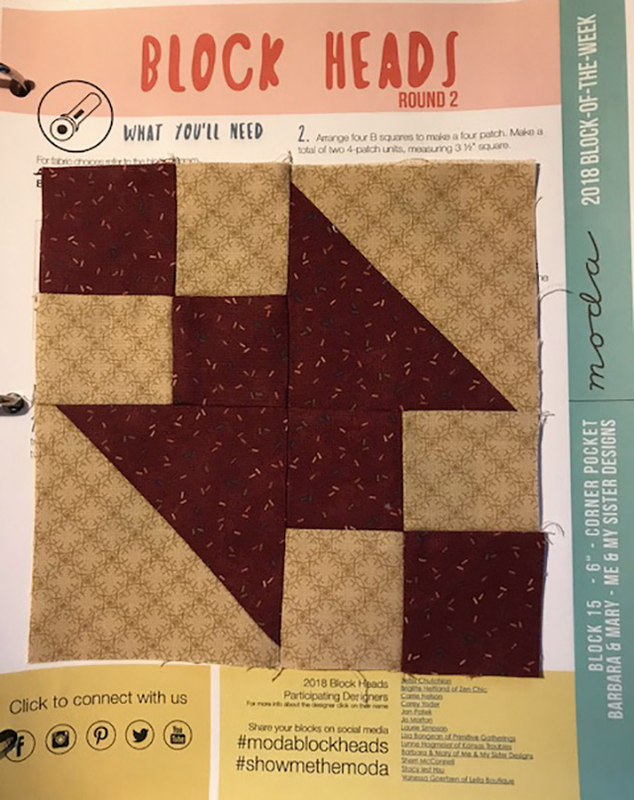 I did the Blockhead 1 all in KT fabric and am doing the 2nd one but oh oh gonna need some more with these bigger blocks. 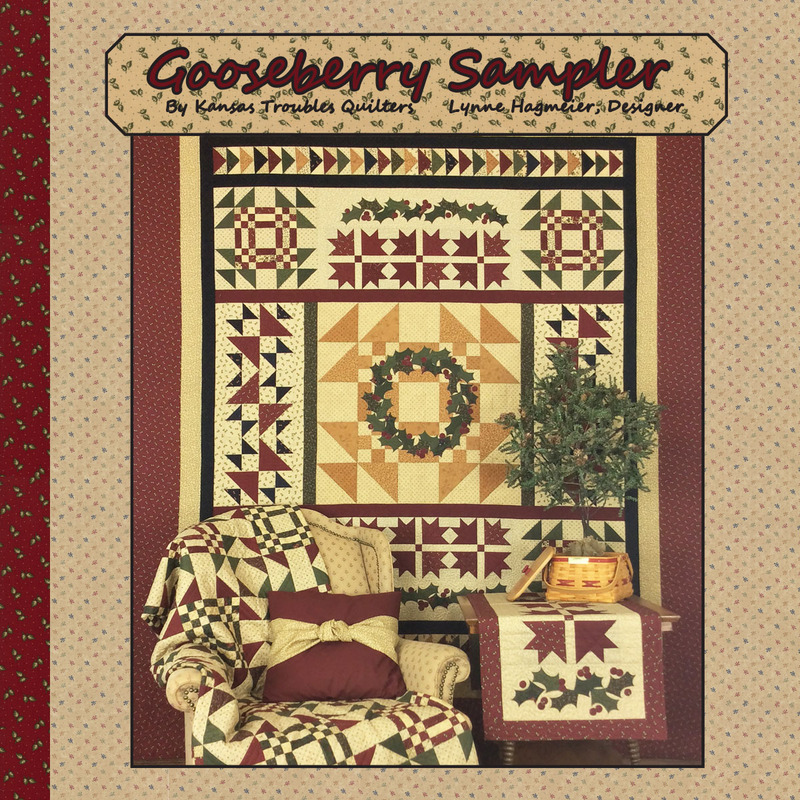 Would love to be the recipient of your scraps. Thank you for the chance. Comment this week to win a HUGE box of flannel scraps. I have to finish my summer cleaning (read "purge") soon or it will turn into winter cleaning!